Mustache Party: It’s A Mustache Bash I mustache you if you’re ready to party!! 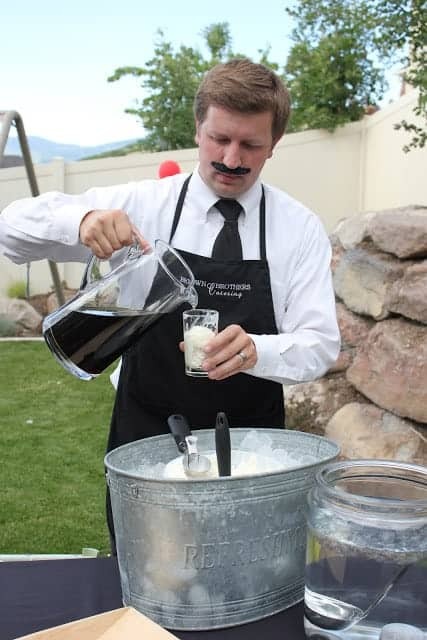 Looking for mustache party inspiration? This party is fun, colorful and full of ‘stache! 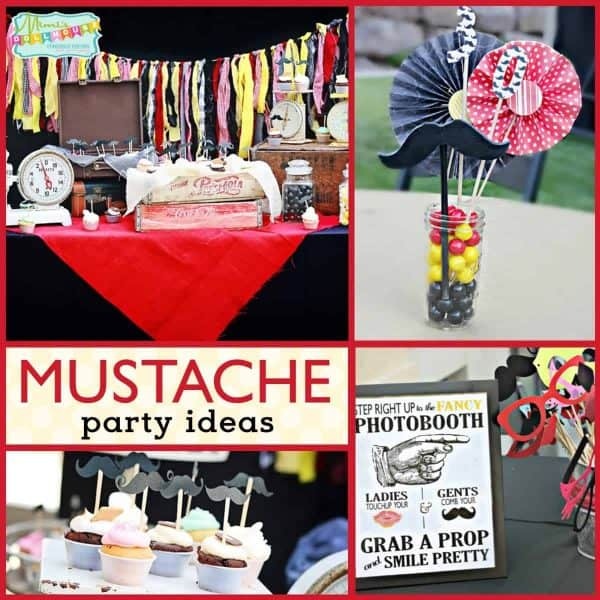 Be sure to also check out our other mustache party ideas!! I have an adorable party to share today. This is one of my favorite designs…no question. Bridget from Bridgey Widgey styled this mustach-tic mustache bash as a surprise 30th party and proved that mustaches look good on things other than Tom Selleck’s face!!! The colors and red and yellow and black. 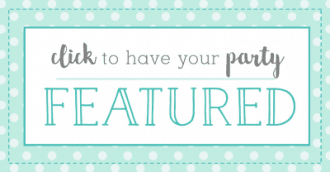 It is shabby chic and super cute…check it out. Here’s the mustache bash banner. 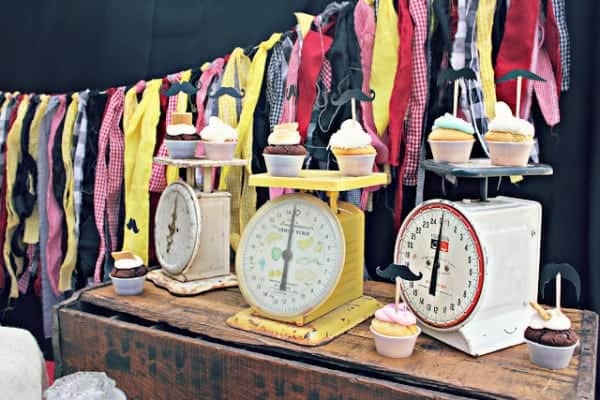 She used some coordinating Washi Tape (Dress My Cupcake Washi Decorative Tape for Gifts/Favors, Polka Dot, Black ) to hang the banner, which is a nice alternative to the traditional ribbon hung banner….very cute! 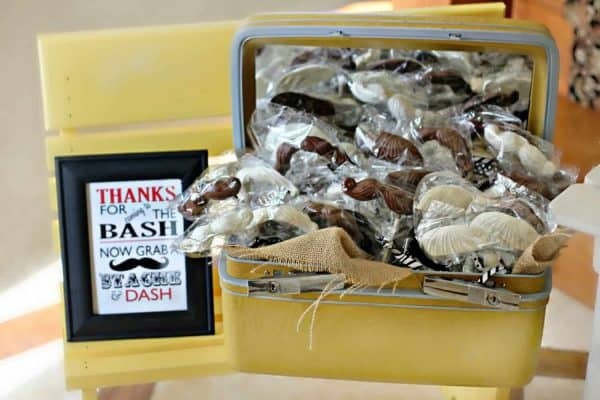 Mustache favors made from Mustache candy molds like Mustache Lollipop Chocolate Candy Mold . The yellow vintage suitcase is a bonus idea too…I’m pretty sure my grandma still uses one just like that!! 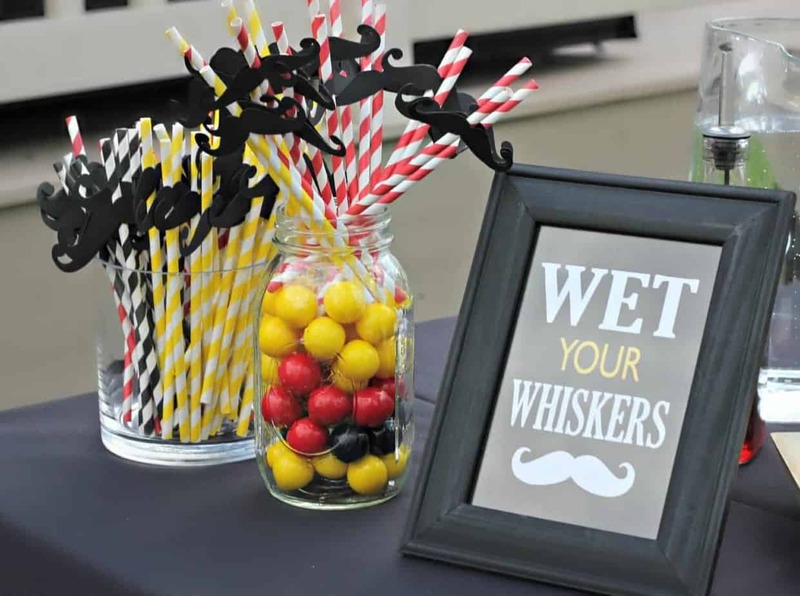 I love the cute wooden mustaches on dowels in the yard…adorable!! 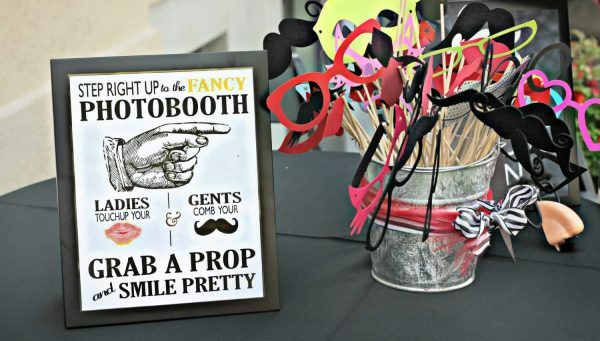 Fun and funky photo booth accessories (Here is a fun set of mustaches:12 BLACK Mustaches on a Stick – Photo booth Props ).I love the photo booth idea…what a great way to get fun pictures of your guests. Especially when you are throwing a mustache party…it just screams “photo booth”! 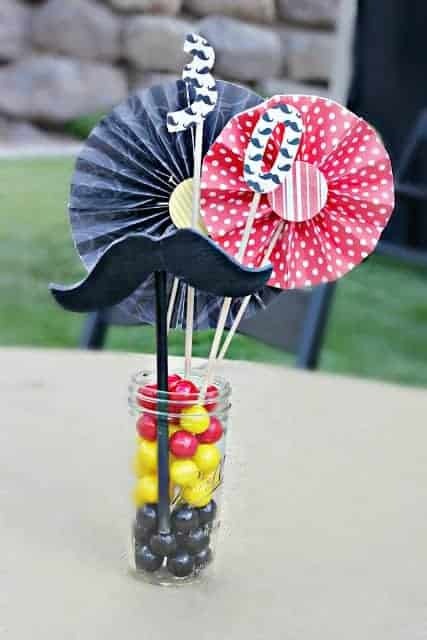 I love the mustache paper she used in the centerpieces…adorable!!! Even the cater waters got involved in the mustache action!!! What an awesome Mustache Bash!!! 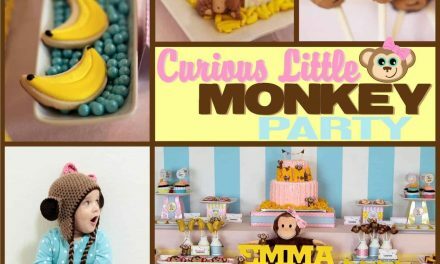 Monkey Party: Curious Emma is Turning Three! HAHAHAHA! 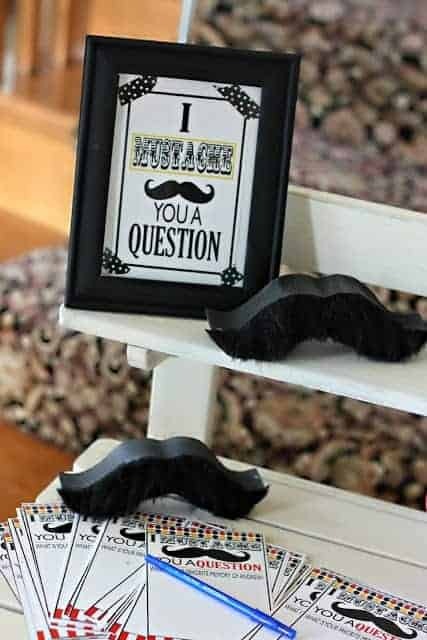 Ohhh mustache puns! 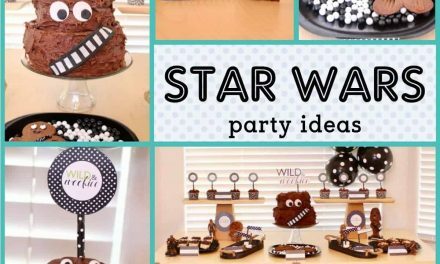 I am a total pun girl so I loved this post ;) Also, what a unique party idea!! Everything is more fun with a mustache! this is such a cute theme! you have so many fun ideas! What a unique idea for a themed party! 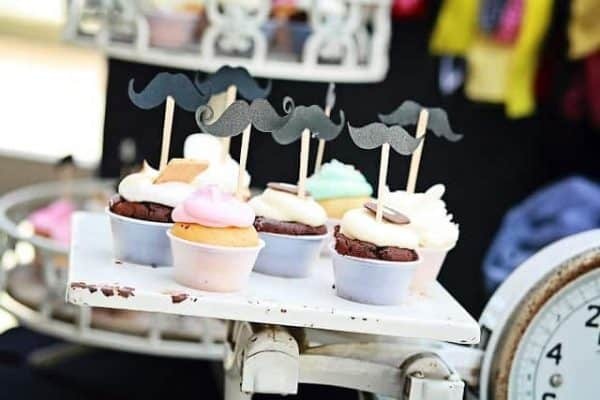 Everything looks so whimsical and fun – especially the chocolate moustaches. Yum! 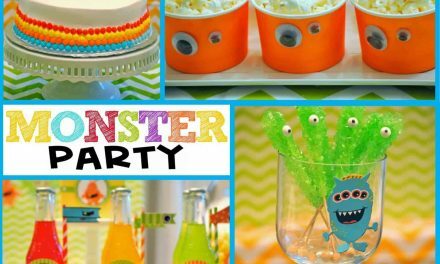 Oh my gosh, what an adorable party theme idea! I love all of the decorations that you picked for it, as well! 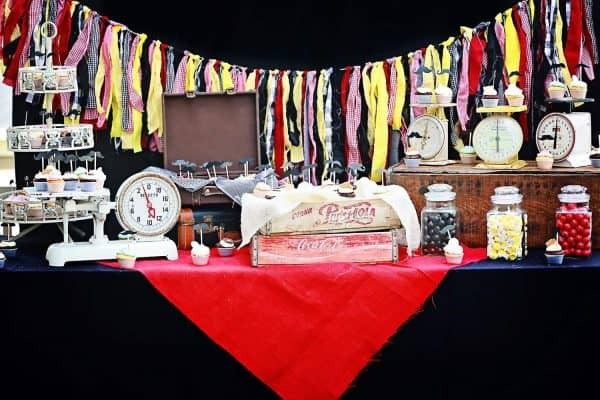 I love this idea for a party, what a creative idea and not one I’ve seen before. Your attention to detail in all your work really is exquisite. I am a fan of a good mustache pun haha. 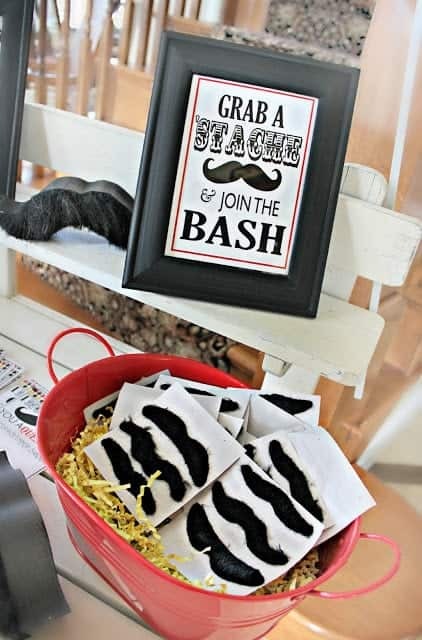 I have to admit, I don’t understand the mustache craze, but it does make for an adorable party! I love all your unique themes right from the St Patricks one to the alligator one and the orange theme. The moustache theme sounds pretty awesome. I loved the pretty decor ideas. 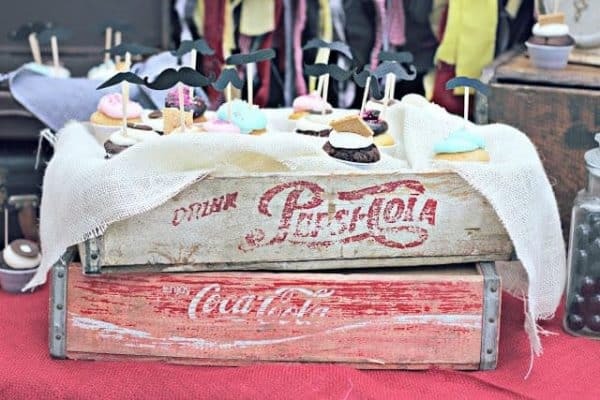 What a creative theme for a party! All the decorations are adorable, and I bet guests – old and young – would just be smiling the whole time! 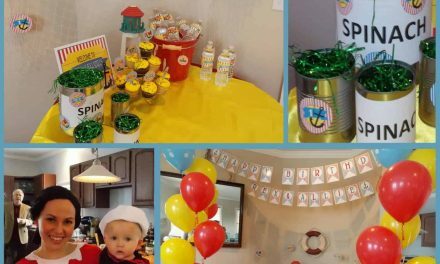 Cute party theme. I think it can be used on multiple occasions. loved the cup cake decor. This is such a fun idea for a party! I would love to go to an event like this with my friends! These decorations and ideas would also be fun for a baby shower! This is giving me great ideas! You always have the cutest decorations! My next party I am totally going to look at your decorations for ideas! 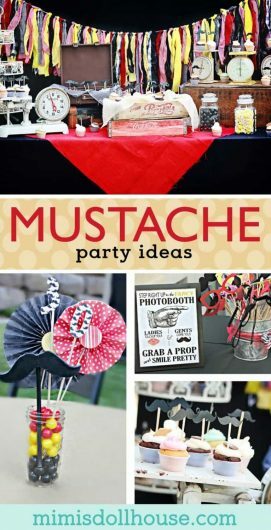 Love the idea of a ‘stache party! I think the signs really set the tone. I would have loved to have seen the photo booth pics! I know some people are really getting crazy about mustache.. This party looks cute! How awesome! I bet there was some good photos from the photo booth at this party! I am such a fan of this theme. I keep coming back to this page for adoring the decor. Lovely idea. This is such a cute idea! I love this! My daughter would absolutely love this. I never quite got the mustache craze but I know she loves this. And it all looks like it is such a lot of fun there. Very nice! ADORABLE! I love this kind of theme and it can work for so many different kinds of parties. All of this decor looks so amazing. I have never though of having this as a theme for a party. Great idea! I remember back in 2010-2011, Moustaches were a random trend, at least here in the UK! Like they were on t-shirts, accessories, so random but love it!